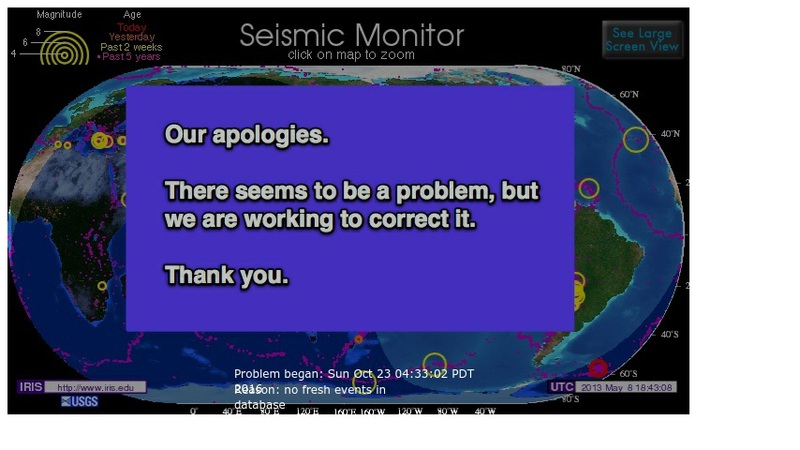 The IRIS Seismic Monitor allows users to monitor global earthquakes in near real time. Researchers can locate the geology, vault conditions, site description, station instrumentation, and additional information on stations throughout the world. Visitors can learn about the latest earthquake news, including special reports of earthquakes that significantly affected human populations or had scientific significance. Students and teachers can find images and descriptions of plate tectonics as well as links to outside educational resources.